Add the latest HPE QMH2572 8Gb Fibre Channel HBA compatible with HP ProLiant Gen8 server blades for BladeSystem c-Class with excellent management, low power usage, management, security, reliability, availability and serviceability. The HPE QMH2572 8Gb Fibre Channel HBA allows multiple logical (virtual) connections to share the same physical port.Each logical connection has its own resources and the ability to be managed independently. 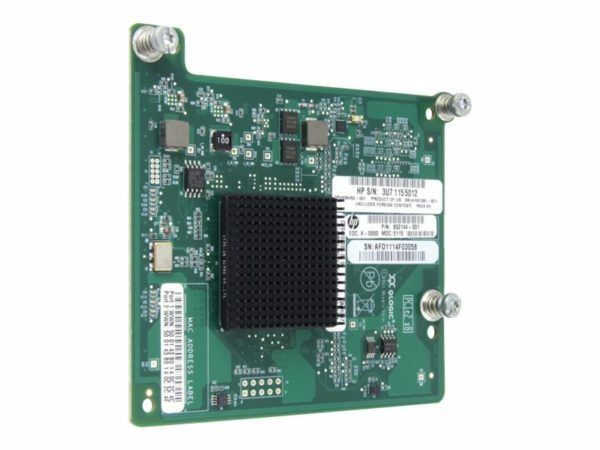 The HPE QMH2572 8Gb Fibre Channel HBA with the advantage of the QLogic StarPower technology, ensures power efficiency,power and bandwidth optimized intelligent PCIe link training and low-power switching power supplies. The HPE QMH2572 8Gb Fibre Channel HBA enables SAN-level authentication, fabric-level isolation, and end-to-end data integrity. The HPE QMH2572 8Gb Fibre Channel HBA delivers authentication through FC-SP, data integrity through T10 CRC and access control in virtualized environments.